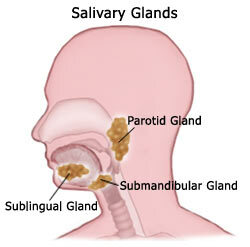 Sialadenitis is the inflammation of the salivary glands, the glands that produce saliva in our mouths. Saliva is essential for the normal functioning and health of the mouth. Disorder of salivary glands function can lead to oral disease, for example tooth decay and gum disease. Sialadenitis is usually caused by bacterial or viral infection but the disorder can occasionally be due to other causes, such as trauma, radiation and allergic reactions. Bacterial sialadenitis can be generally divided into acute and chronic forms. 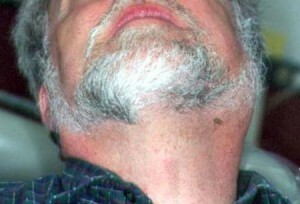 This uncommon disorder mainly involves the parotid gland. The pus collected from the salivary duct will be taken for laboratory testing and antibiotics will be prescribed to you by your dentist or doctor. Any soft swelling should be surgically drained and supportive therapy, such as adequate fluid intake, painkillers and practice of good oral hygiene, is important. Once the acute condition has resolved, the causative factors, such as duct stones, are to be identified and corrected. This may also develop following acute sialadenitis, particularly if the acute condition was not treated adequately or causative factors not removed. Treatment can vary depending on the position of the duct stone. If the stone is within the duct, the stone can be removed with the duct but if the stone is within the gland, the entire gland will have to surgically removed. 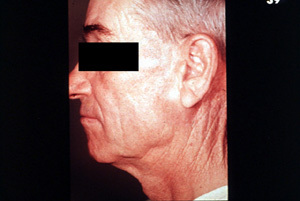 A common acute viral disease that mainly affects the parotid glands, mumps is highly infectious and is the most common cause of acute parotid swelling. Mumps will resolve by itself after about 7 days. Mumps vaccination is provided as the measles-mumps-rubella (MMR) vaccination. The vaccination is given at around 1 to 4 years of age. Radiation sialadenitis is a common complication of radiotherapy directly related to the dose of radiation given. Infection in severely damaged salivary glands is often irreversible but with less damage, some degree of salivary gland function may return after several months. X-rays, sialography, CT, MRI or ultrasonography are taken to determine the position of the stone. Duct obstructions are usually correctable by removing the cause. This entry was posted in Oral Care and tagged bacterial sialadenitis, chronic sialadenitis, mumps in adults, mumps symptoms, parotid sialadenitis, parotitis, salivary gland, sialadenitis parotid gland, sialadenitis symptoms, sialadenitis treatment, sialolithiasis, submandibular sialadenitis on December 17, 2009 by oileng.